Samples of X-ray images, sketches and graphics help improve the interpretation of the physician's own data. 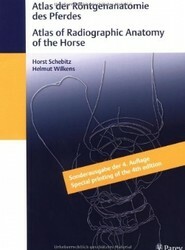 The knowledge of radiographic anatomy provides the basis for the diagnosis of pathological alerations. Originally, published in 1987, a dual-language edition distributed by Thieme.